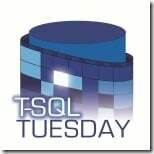 Myth #4: DDL triggers (introduced in SQL Server 2005) are INSTEAD OF triggers. DDL triggers are implemented as AFTER triggers, which means the operation occurs and is then caught in the trigger (and optionally rolled-back, if you put a ROLLBACK statement in the trigger body). What would be better in this case is to specifically GRANT or DENY the ALTER permission, or do something like only permitting DDL operations through stored-procedures that you create. However, DDL triggers do allow you to effectively stop it happening, but in a relatively expensive way. And they do allow you to perform auditing of who did what, so I’m not saying they’re without use – just be careful. Kimberly has a great post on DDL triggers at “EXECUTE AS” and an important update your DDL Triggers (for auditing or prevention).